John 3:25 Now a discussion arose between some of John’s disciples and a Jew over purification. 26 And they came to John and said to him, “Rabbi, he who was with you across the Jordan, to whom you bore witness—look, he is baptizing, and all are going to him.” 27 John answered, “A person cannot receive even one thing unless it is given him from heaven. 28 You yourselves bear me witness, that I said, ‘I am not the Christ, but I have been sent before him.’ 29 The one who has the bride is the bridegroom. The friend of the bridegroom, who stands and hears him, rejoices greatly at the bridegroom’s voice. Therefore, this joy of mine is now complete. 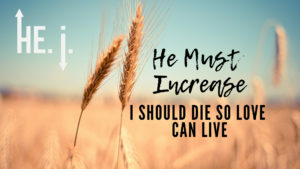 30 He must increase, but I must decrease. John’s joy was made complete by knowing his place. Luke 6:27 “But I say to you who hear, Love your enemies, do good to those who hate you, 28 bless those who curse you, pray for those who abuse you. 29 To one who strikes you on the cheek, offer the other also, and from one who takes away your cloak do not withhold your tunic either. 30 Give to everyone who begs from you, and from one who takes away your goods do not demand them back. 31 And as you wish that others would do to you, do so to them. 32 “If you love those who love you, what benefit is that to you? For even sinners love those who love them. 33 And if you do good to those who do good to you, what benefit is that to you? For even sinners do the same. 34 And if you lend to those from whom you expect to receive, what credit is that to you? Even sinners lend to sinners, to get back the same amount. 35 But love your enemies, and do good, and lend, expecting nothing in return, and your reward will be great, and you will be sons of the Most High, for he is kind to the ungrateful and the evil. 36 Be merciful, even as your Father is merciful. 2 Kings 6:18 As the enemy came down toward him, Elisha prayed to the Lord, “Strike this army with blindness.” So he struck them with blindness, as Elisha had asked. 19 Elisha told them, “This is not the road and this is not the city. Follow me, and I will lead you to the man you are looking for.” And he led them to Samaria. 20 After they entered the city, Elisha said, “Lord, open the eyes of these men so they can see.” Then the Lord opened their eyes and they looked, and there they were, inside Samaria. 21 When the king of Israel saw them, he asked Elisha, “Shall I kill them, my father? Shall I kill them?” 22 “Do not kill them,” he answered. “Would you kill those you have captured with your own sword or bow? Set food and water before them so that they may eat and drink and then go back to their master.” 23 So he prepared a great feast for them, and after they had finished eating and drinking, he sent them away, and they returned to their master. So the bands from Aram stopped raiding Israel’s territory. Romans 5:1 Therefore, since we have been justified by faith, we have peace with God through our Lord Jesus Christ. 2 Through him we have also obtained access by faith into this grace in which we stand, and we rejoice in hope of the glory of God. 3 Not only that, but we rejoice in our sufferings, knowing that suffering produces endurance, 4 and endurance produces character, and character produces hope, 5 and hope does not put us to shame, because God’s love has been poured into our hearts through the Holy Spirit who has been given to us. 6 For while we were still weak, at the right time Christ died for the ungodly. 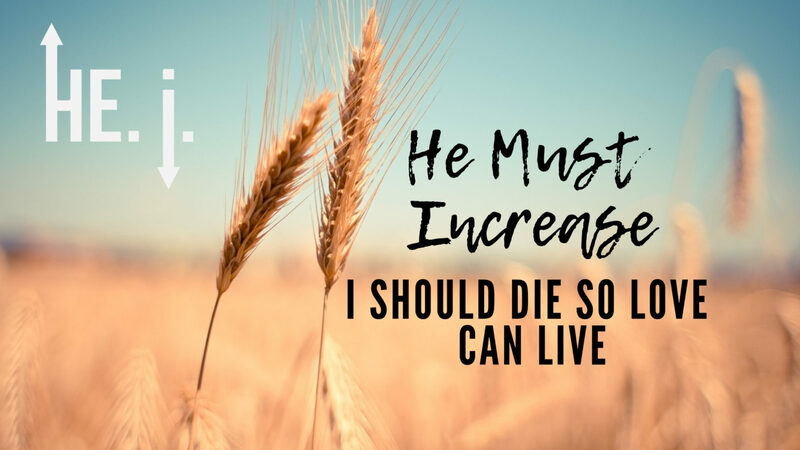 7 For one will scarcely die for a righteous person—though perhaps for a good person one would dare even to die — 8 but God shows his love for us in that while we were still sinners, Christ died for us. 9 Since, therefore, we have now been justified by his blood, much more shall we be saved by him from the wrath of God. 10 For if while we were enemies we were reconciled to God by the death of his Son, much more, now that we are reconciled, shall we be saved by his life. 11 More than that, we also rejoice in God through our Lord Jesus Christ, through whom we have now received reconciliation. The “I” dies when we Love. We love our friends, our families, our neighbors, strangers and enemies. Jesus died for Gods enemies. True Humility is knowing your rightful place. Describe what you heard the Holy Spirit speak to you during the Sermon. Define in your words an enemy. Did you consider yourself Gods enemy before salvation? 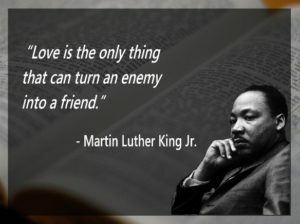 Do you have someone in your life that you are withholding love from? Describe. Describe a time in your life when you humbled yourself and forgave. 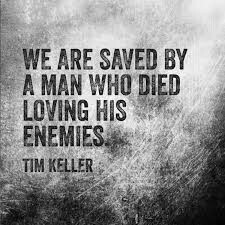 How do we love an enemy? Pray for our own heart to change. Pray that God would bless them. Pray for creative ways to do good to them. Ask the Holy Spirit to empower you. I love this group !